Michael Cruse lives in southern California with his wife and three wonderful daughters. He has worked in the Information Technology and Data sectors for several years in various leadership roles before moving into Commercial Operations in 2014. 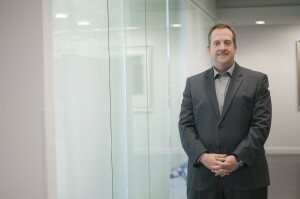 Most recently, he joined a small pharmaceutical company to lead its Corporate Operations function. Michael believes that operational functions must work for the entire organization for it to be successful. A prosperous operations group takes gifted people to make things happen right and when needed. These groups often go unnoticed when everything works smoothly. By collaborating with some of the most talented individuals in the industry, and regularly investing in everyone’s professional and personal development, the team is able to produce exceptional results. Michael strongly focuses on effectively utilizing operations and technology and process to aid the organization and people in moving their objectives forward. Strategic planning, solid operational execution, and humanistic leadership synergistically combine to produce a high-performance culture that delivers for its customers, team members, and other organizational stakeholders. Michael’s teams exemplify the concept of continuous improvement with high standards and an expectation of excellence from each other. Professional Mission: Support the internal customers and external stakeholders in a friendly and caring way while keeping operations working towards optimal performance. By this approach, we deliver on the promise to help enable our colleagues in achieving their desired goals of developing innovative treatments for patients and assisting healthcare professionals and caregivers. Please feel free to contact Michael via LinkedIn or Email. THIS IS A PERSONAL BLOG, AND ALL POSTING ARE THE OPINIONS OF THE AUTHOR. This site is a personal blog. It covers topics from technology, operations, corporate life, self-development and personal investments. No postings or comments should be considered the opinion or thoughts of anyone other than the author. Additionally, the site and authors make no warranty or guarantee the accuracy or suitability of any information posted.